> The infrastructure is owned by Network Rail which is regulated by the Office of Rail and Road (ORR). > The Department for Transport (DfT) looks after passenger- and train-related matters. > Train operating companies (TOCs), both passenger and freight, run the trains. The railway system of Great Britain, the principal territory of the United Kingdom, is the oldest in the world. In 1802, Richard Trevithick designed and built the first steam locomotiveThe first passenger-carrying public railway was opened by the Swansea and Mumbles Railway at Oystermouth in 1807. The first railroad built in Great Britain to use steam locomotives was the Stockton and Darlington, opened in 1825. It used a steam locomotive built by George Stephenson and was practical only for hauling minerals. The Liverpool and Manchester Railway, which opened in 1830, was the first modern railroad. It was a public carrier of both passengers and freight. By 1870 Britain had about 21,700 km of railroad. At the system’s greatest extent, in 1914, there were about 32,000 km of track, run by 120 companies. The British government combined all these companies into four main groups in 1923, LNER, LMS, GWR and SR, as an economy measure. When World War II began in 1939, Britain’s railroads were placed under government control. The Transport Act of 1947 nationalized the railways, which were taken over by the British Transport Commission (BTC) in 1948 and given the name British Railways. Following a 1950s modernisation plan designed to take Britain’s railways from the 19th to the 20th century, Doctor Richard Beeching’s 1963 report, ‘The Reshaping of British Railways’, recommended the closure of a third of passenger services and more than 4000 of the 7000 stations. Most of the closures were carried out between 1963 and 1970, and today’s network is largely his legacy. From the 80s, British Rail was divided by sectors of activity. The 1980s saw severe cuts in government funding and above-inflation increases in fares, but the service became more cost-effective. At this time, the United Kingdom is already a member of the European Union (since 1973), but in 80's EU has still no railway policy or European directives to revitalize the railways. Britain will take a path that went well beyond the prescriptions which was not the idea from the European Commission, contrary to a legend often prevalent. British railway policy is a unique case in the world. In its manifesto for the 1992 general election the Conservatives included a commitment to privatise the railways, but were not specific about how this objective was to be achieved. The Conservatives are being encouraged this time by the new binding powers of the European Commission, which encourages the separation of the railway infrastructure from the incumbent, in order to encourage the arrival of new railway undertakings. John Major came to power in April 1992. The Treasury, under the influence of the Adam Smith Institute think tank, advocated the creation of seven, later 25, passenger railway franchises as a way of maximising revenue. The British government restructured British Rail in 1993 prior to privatizing the company. Passenger traffic and freight traffic were divided into 25 train-operating units and 6 freight-operating companies, respectively, that were franchised to private-sector operators. A new state-owned company, Railtrack, was created in 1994 to own and manage the system’s track, signals, land, and stations. Railtrack was privatized in 1996 and the new British railway policy was officially born. 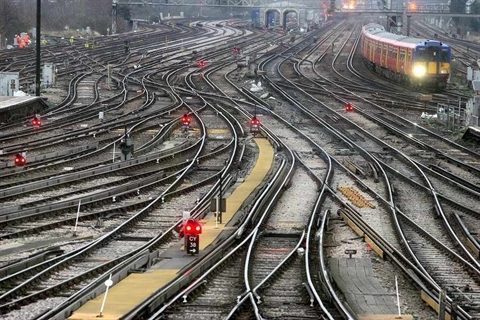 In 2016 the UK rail sector accounted for over 225,000 jobs, with rail passenger and freight operations directly contributing £5.2 billion in gross value added (GVA), according to the ONS. Rail facilitated 1.7 billion passenger journeys in 2016, including over 10 million journeys through the Channel Tunnel. The sector accounted for 101,500 direct jobs in the UK (56,000 in Train Operating Companies (TOCs), 7,000 in Freight Operating Companies (FOCs), and 38,500 in Network Rail) and supports an estimated 124,000 jobs in the supply chain. Following serious accidents and obvious failures in the management of the network, Railtrack company was dissolved and replaced in 2002 by a new not-for-profit company 100% at the hands of the British state : Network Rail. The company is an arm's length public body of the Department for Transport with no shareholders, which reinvests its income in the railways. Since 1 September 2014, Network Rail has been classified as a "public sector body". Network Rail currently manages 2,500 stations divided into 6 categories, and 15,700 kilometers of line of which 5,000 km are electrified. The network is gauged at 1.435mm . 38,500 employees, who do not have railwayman status, work on the day-to-day operation of the rail network. With the exception of a small number of ‘open access’ operators, all passenger journeys, including local trafic, are provided by franchised operators. Alongside UK companies, the UK has long welcomed EU businesses investing in the UK’s rail markets, while there are also interests held by non-EU operators. The UK has also provided the benefit of UK experience to other Member States with UK-owned companies winning rail contracts in the EU. Some tickets and schedules between different players are available through the National Rail Enquiries. The rail freight industry is dominated by five large freight operating companies. 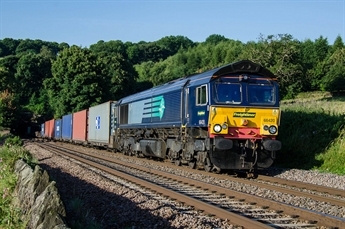 Similar to the passenger market, there is significant involvement in the UK rail freight market from EU based companies. This is particularly the case of the German company DB Cargo. Great Britain does not have regions or provinces in the sense of what is found in France, Germany, Spain or the Netherlands. The country is based on many communities that manage very local matters, including public transport, but not trains. Wales, Scotland and Northern Ireland have their own executive and legislative institutions. It is an executive department of the British government responsible for transport. This is the central point of all British railway policy, except Scotland and Northern Ireland. It is headed by a Secretary of State for Transport. DfT is the franchise authority for the rail network, negotiates calls for tenders and awards contracts, excluding Scotland and Northern Ireland. 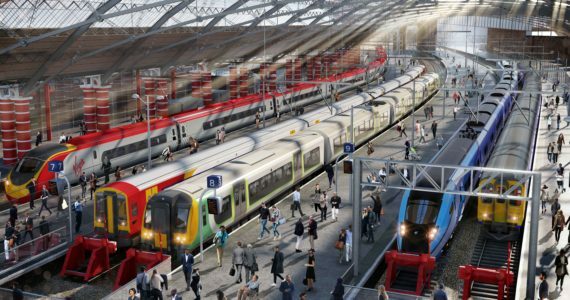 The DfT can also be a train buyer and thus encourage innovation and modernization, as it did with the IEP program, to replace intercity by unifying technical specifications. Scotland, which has its own government, has complete freedom to operate its rail network as it sees fit. Since 2008, the Scottish franchise has been permanently named Scotrail, regardless of which company operates the train service. Northern Ireland also has its own company, the NIR, but without franchise. Wales is aligned with the requirements of London and the DfT. Established in 2004, the Office of Rail and Road (ORR) is responsible for the economic regulation and safety of the British Railways, as well as for the economic oversight of the Highways England motorway company. The ORR thus regulates Network Rail and other separate rail networks such as the Channel Tunnel and the HS1 high-speed line, which is owned by the LCR consortium. The ORR provides the necessary agreements for companies wishing to use the Network Rail network, in open access or through franchises. It diligently investigates. Established in 2003 on the recommendations of a public inquiry, it leads the industry's progress in health and safety matters. UK Notified Bodies (UK NoBos) are UK bodies authorised to assess the compatibility of works or equipment with Technical Specifications for Interoperability (TSI) as part of the system to effectively and safely allow the interoperability of railway services within the European Union. UK Notified Bodies may be appointed by ministers of HM Government under The Railways Regulations 2000 (S.I. 2000/1674) in six railway TSI areas: Control Command and Signalling, Energy, Infrastructure, Maintenance, Operations and Rolling Stock. As everyone knows, Britain is about to leave the European Union in principle for 2019. EU law sets out technical and safety standards, as well as rules for how the rail market can be structured (i.e. the procurement of rail contracts). Nonetheless, the UK’s domestic network has a number of characteristics which are specific to the UK, not least the UK’s island geography, meaning the UK is largely separate from the European network. procurement, state aid, customs and immigration, employment and environmental. The United Kingdom is not part of the Schengen area. • The United Kingdom is a member of the International Union of Railways (UIC, Paris). The UIC Country Code for United Kingdom is 70. UIC’s scope of activities is global and embraces the universality of railway topics. UIC can create a framework to develop new projects on all kinds of issues requested by Members. The registration of railway vehicles for example, which is compulsory in all countries, was based on long-standing UIC principles. 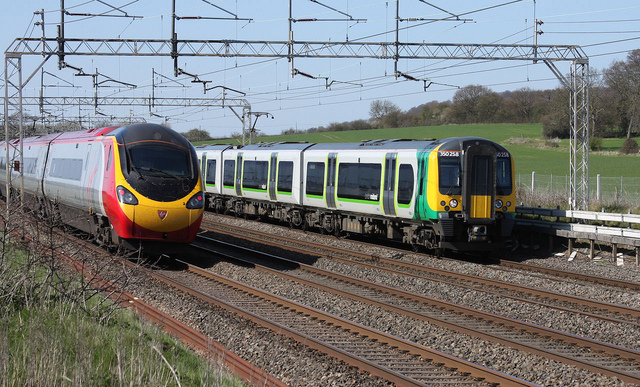 The Rail Delivery Group (RDG) is the British rail industry membership body that brings together passenger and freight rail companies, Network Rail and High Speed 2. RDG replaces the former ATOC (Association of Railway Operating Companies), which was established in 1993. In 2011, one of the recommendations made by the McNulty rail value for money report was that a leadership body be established to take responsibility for coordinating and leading on cross-industry initiatives. This association is a bit like the German Mofair. Inheritance of the 1947 CTCC, Transport Focus is the answer to the January 2004 white paper, which called for a more independent and focused rail passenger organisation that offered better value for money and achieved higher levels of passenger awareness. The association was then called Passenger Focus until 2015, when the missions were extended to the motorway network. The name was then changed to Transport Focus, with a rail component.  Rail Freight Group (RFG) is the representative body for rail freight in the UK. Theirs members include rail freight operators, logistics companies, ports, equipment suppliers, property developers and support services, as well as retailers, construction companies and other customers.